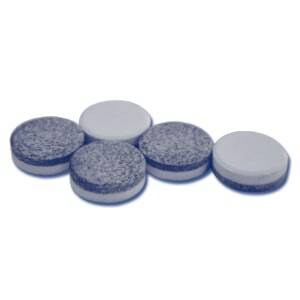 Snoreeze Lozenges target the main cause of snoring. Their dual action formulation tones and lubricates the soft tissues at the back of the throat to provide effective snoring relief. How do Snoreeze Lozenges work? Snoreeze Lozenges target the main cause of snoring. Their dual-action formulation tones and lubricates the soft tissues at the back of the throat to provide effective snoring relief. Snoreeze Lozenges have a refreshing mint taste and dissolve quickly for immediate effect. Snoreeze Lozenges are available in a pack of 16. For best results, don’t eat or drink after taking Snoreeze Lozenges. More than one Snoreeze Lozenge can be taken, but usually a single Lozenge is enough. For oral use only. Keep out of reach of small children. Store in a cool, dry place below 25°C. Snoreeze Lozenges should be taken at room temperature. Snoreeze recommends that if you are pregnant or breastfeeding you should contact your doctor before use. Excessive consumption may cause laxative effects. There is no guaranteed ‘cure’ for snoring. However, Snoreeze Lozenges can relieve the symptoms of snoring to help provide a peaceful night’s sleep for you and your partner. Snoreeze Lozenges are not a cure for sleep apnoea (a related respiratory medical condition). You may be suffering from sleep apnoea if you stop breathing during sleep, wake-up tired or fall asleep easily during the day. If you experience any of these symptoms it is recommended that you consult your doctor. Xylitol, spirulina, acacia gum, microcrystalline cellulose, citric acid, glucosamin sulphate, menthol, sage extract, sodium hyaluronate, colloidal silica, magnesium stearate, grape seed extract. Snoreeze Lozenges have a patented, dual action, time-based formulation. They tone and lubricate the soft tissues at the back of the throat to provide effective snoring relief for up to 8 hours*. Is it safe to use Snoreeze Lozenges every night? Yes. Snoreeze products are made with natural ingredients and are safe to use every night. For most people, positive lifestyle changes can help to reduce your risk of snoring. Can I use several different Snoreeze products together? Yes. 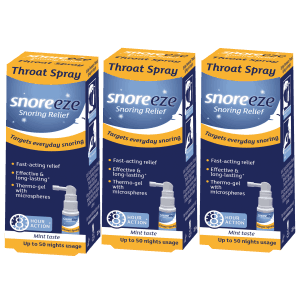 Different combinations of both Oral and Nasal Snoreeze products can work together to stop your snoring. Can I use Snoreeze Lozenges if I’m taking medication? Snoreeze products are made with natural ingredients. However, we recommend that you consult our doctor before use. Many types of medication, such as sedatives, can increase snoring due to their relaxant effect on the muscles at the back of the throat. Can I use Snoreeze Lozenges if I suffer from asthma or any other respiratory problems? Snoreeze products are made with natural ingredients and are safe to use if you have asthma or any other respiratory problems. However, we recommend that you consult your doctor before use. Can I use Snoreeze Lozenges if I’m pregnant or breastfeeding? Snoreeze products are made with natural ingredients and are safe to use if you are pregnant or breastfeeding. However, we recommend that you consult your doctor before use. What do I do if the product doesn’t work? Snoring is a complicated problem, with many different causes. This is why the Snoreeze range consists of so many products; to try and provide a product suited to every snorer. 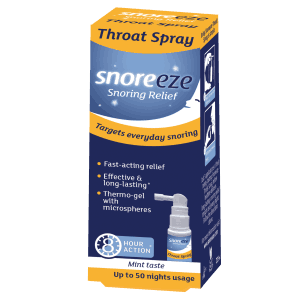 If you use a Snoreeze product and find that it does not relieve your snoring, it might be that you would be more suited to another product in the range. Make sure to read the detailed product descriptions provided on the website or use the “diagnose your snoring” questionnaire before making a product choice. If you are still having issues, you can contact our customer service team who will help you with any concerns. Our subscription option allows you to arrange repeat deliveries of your favourite products. You can cancel your subscriptions at any time from your Snoreeze account. Your new discounted subscription price will be applied. Your product/s will be shipped to you at the recurring time period specified. When you place your order, you’ll automatically receive confirmation by email. If we’re unable to dispatch an item for any reason, we will email you to let you know. We aim to dispatch your order within 1-2 working days. Standard UK delivery is by First Class mail and should reach you within 1-4 working days. European and Worldwide delivery is by Air Mail (or international courier for large orders). Please allow 5-10 working days for European delivery, or up to 28 days for delivery to the rest of the world. “These lozenges work amazingly well! We were on the verge of getting another bed, but my husband now not only doesn’t wake me with his snoring, but he sleeps better and wakes refreshed. We had tried all sorts of ways to tackle this problem, as he was anxious that we shouldn’t sleep apart. But neither of us were getting a full night’s sleep, and a specialist had said he had a very narrow nasal passageway on one side and a healed septum from a bad untreated sinus infection as a teenager. So the odds were against anything working fully for him, but we now have our full energy back in the day! No disturbed nights and no more lying awake.